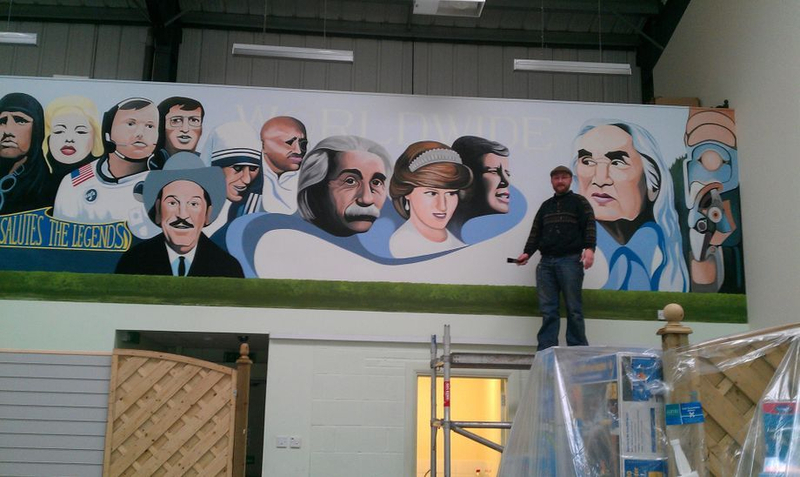 This is a 35 ft long and 16 ft high on the wall of a spa showroom in Gillingham. 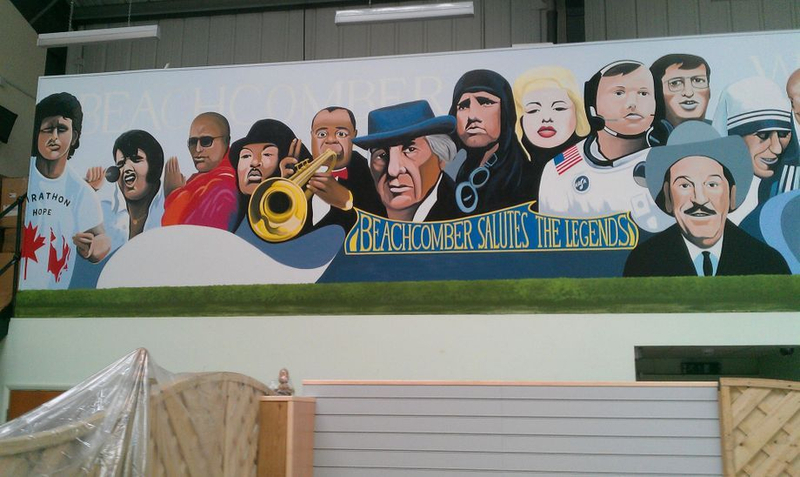 The spas and jacuzzies are made by a company in Canada and this is a recreation of a much larger mural that they have on the outside of their factory. 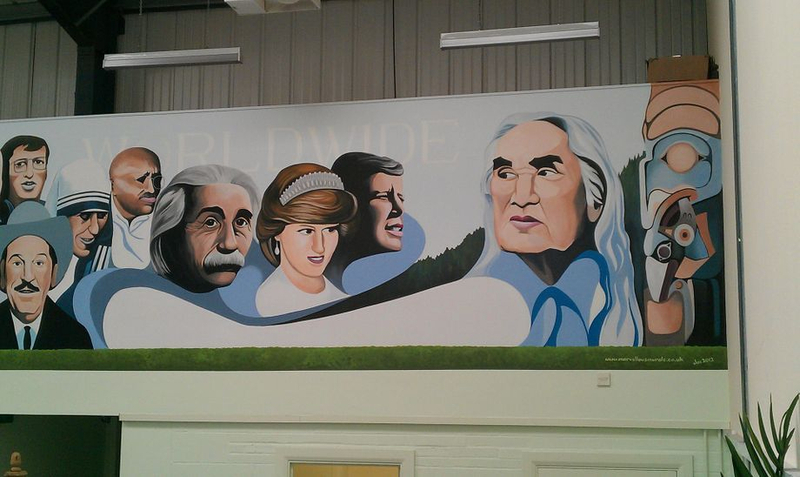 The original mural is a salute to legends and features the portraits of many famous icons local to Canada and from around the world.